Korean beauty crossed over to the U.S. a few years ago, and since then we’ve all been #blessed to know the wonders that are cushion compacts, essences, and, of course, sheet masks (while startling everyone in our vicinity in the process). Which is why I was surprised to find out that one of the biggest tenets of Korean skincare—the 10-step system—has been eschewed by Korean millennials for something called skip-care. On a recent trip to Seoul with the Korean brand AmorePacific, I met with someone from the brand’s research and development team who explained the concept to me. “Skip-care is a skincare method that allows you to identify the essential ingredients for your skin and avoid the use of unnecessary products for a simpler, yet proper, skincare routine,” she explained via a translator. In other words, it’s about using fewer products without sacrificing results when it comes to hydration. If you’re used to a skincare routine that covers the bases of moisturizing, balancing, brightening, and anti-aging, then skip-care means that you’ll find products that do one or more of those things in one step. It’s a simpler, more effective routine. It’s not just Korean millennials who are searching for a more streamlined routine. Supposedly, “cosmetics restriction diet” (roughly translated from Korean) has gone up in search in Korea over the past few years, while searches for the seven-step method have gone down. Korean brand Laneige launched a new toner-moisturizer hybrid product called Cream Skin under this minimization concept. It’s a watery, milky consistency that feels like a toner but contains tiny oil particles suspended in water to provide the same hydration you’d expect from a cream moisturizer. Korean millennials love it because it allows them to skip moisturizer altogether while still keeping their skin hydrated—even more hydrated than from using a moisturizer, according to the studies they share. I used it throughout the duration of the trip and noticed an immediate difference in my skin’s dryness and flakiness levels (which had reached an all-time high after a 14-hour flight). It even soothed my eczema-ridden arms when I patted it on. For my fellow science nerds out there, I used a moisture meter to measure the hydration levels on my arm before and after applying the product. There was a huge spike in moisture just a few minutes after applying (around 40% or more). Now is the time when you get mad at me because I have to tell you that it isn’t available in the U.S. just yet (but hopefully will be soon!). 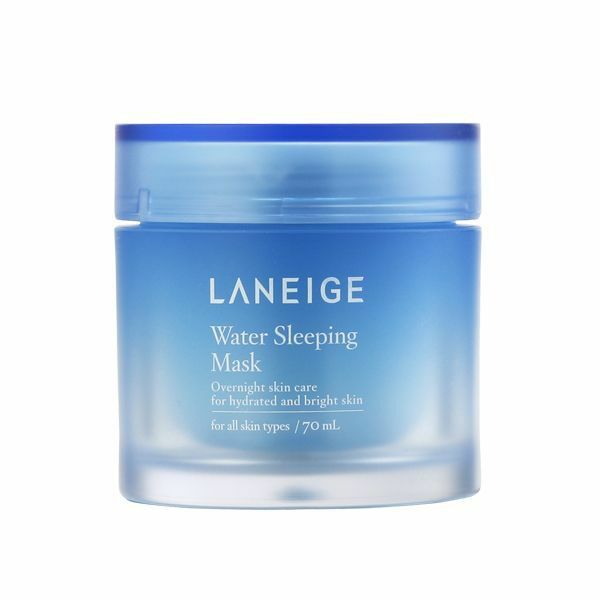 However, there are other incredible multi-benefit Korean skincare products that can help you start a skip-care routine until it arrives, including another top seller from Laneige. Keep scrolling for some of my personal favorites. I have to admit, I was dubious about this mask at first. Water-based products have always felt like a gimmick to me because wouldn't the water just evaporate and leave my skin drier than before? But this overnight mask from Laneige changed my mind for good. I usually have oily skin, but it was flaking and extremely dehydrated after a transatlantic flight and lack of sleep. I applied this mask before bed and saw a noticeable difference in my skin's moisture levels. Plus, the flakes more or less disappeared. Replace your overnight moisturizer with this gel mask before bed once or twice a week and your dehydrated skin will drink it up. 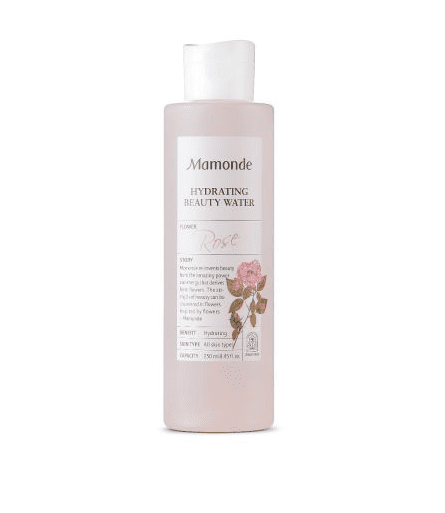 I've been using this beauty water from Korean botanical-based brand Mamonde in place of my cleanser and toner in the morning. It's made with rose extract and glycerin to hydrate, while lactic acid and citric acid gently exfoliate. It leaves my skin feeling soft, clean, and hydrated without overdrying. 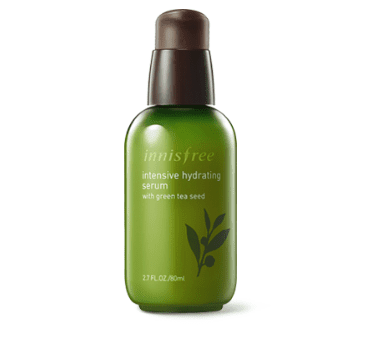 This green tea extract–infused serum from Innisfree is so hydrating that I've been skipping moisturizer when I use it in the morning. Innisfree harvests its USDA organic certified green tea from the rocky, fertile fields of an island called Jeju, an hour plane ride outside of Seoul, and uses a proprietary extraction process to get more benefits than you'd get from a normal green tea product. Since there's green tea oil in this serum as well, it's incredibly moisturizing and soothing. Cica creams have been around for awhile and are a top pick in Korea for anyone with sensitive skin because of their one key ingredient: centella asiatica (also known as tiger grass). It's a powerful herb that's been used for thousands of years to heal the skin, soothe burns, psoriasis, dermatitis, eczema, and more. 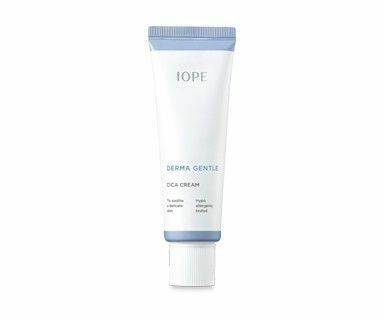 Iope's version has the added benefit of being 10-free (as in, free to 10 potentially irritating ingredients like parabens and mineral oils) and infused with pantheon and cypress tree extract to strengthen the skin while the centella asiatica soothes. Though it's meant for your face, I used it all over my body on my eczema, and it soothed the itchiness instantly as well as kept it from getting worse. If your skin is as stressed as you are, consider this product a natural chill pill. I met my friend Stevie for drinks a few weeks ago and complimented him on his glow. To my surprise, he credited a sunscreen instead of a highlighter or moisturizer for his glow. 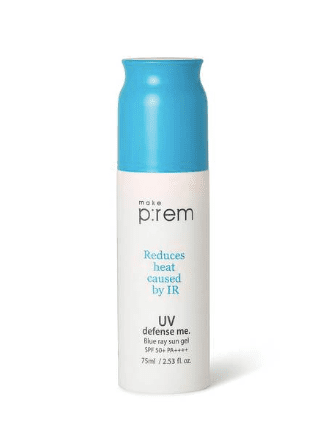 That sunscreen would be this blue-capped gel from Korean brand Make P:rem. It's made with hydrating chia seed extract, brightening niacinamide, and soothing centella asiatica (yep, the same one in Cica creams) to protect your skin from damage while also soothing. The gel texture leaves a velvety finish behind and is the perfect prep for your makeup—so much so that you can skip primer. It can be a little shiny for my oily skin in certain lighting, but on days (and nights) when I really want to amp up my glow, I've been replacing my moisturizer and primer with this SPF. Thanks, Stevie! Click here to see the 10 products a Korean beauty guru picked as the best of 2018.